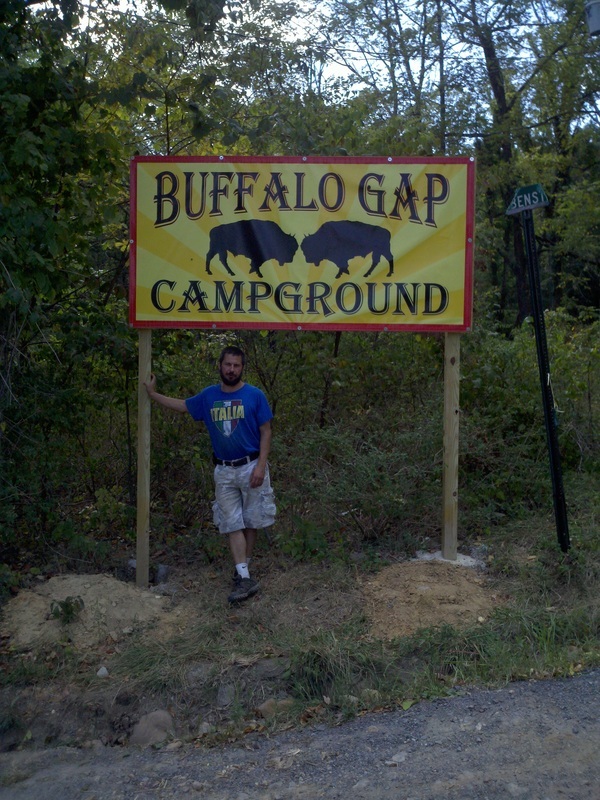 3 tracts of land, each with their own business model potential and structures and amenities at old Buffalo Gap Campground. Looking for a few good investment partners! The facilities and land are part of an old Jewish kids camp called Buffalo Gap Camp dating back to 1950.... now defunct and mostly abandoned but an HOA / POA does basic maintenance on common areas including the lake, beach and much of the common lawn areas. 4. Drive around the big pavilion and up to the cabins with yellow lights above the porch and a green shower trailer and porta-potty in front. park anywhere -- those are my 3 duplex cabins. We were a group of 7 investors and lost a partner recently -- with about 30 days to closing. --> We are Seeking one to two additional operating partners to co-purchase the First Opportunity Core Camp listed below. --> Bank requires 20% down total, good credit, and Bank/IRS verifiable income. --> Once a final partner is cleared by the bank for their share of loan approval (about a week), we should be about 30 days away from closing. and whatever else investor/owners deem appropriate with reasonable limits. Concerts, small festivals, appalachian cultural events, dance, line dance, etc. all focused on both the pavilion, dining hall and lake/beach area for families. 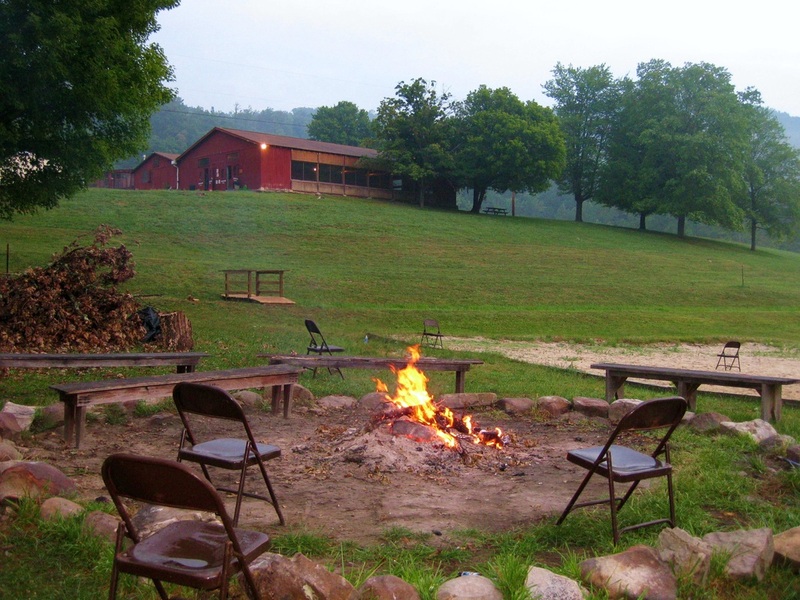 Lot #4 -- the Pavilion -- 3.627 acres and a 3800 square foot appalachian, log frame pavilion structure for concerts, weddings, receptions, events, and more. Lot #5 -- the Dining Hall -- 7.497 acres with a functional commercial kitchen, dining area with lake view and seating potential for 150+. 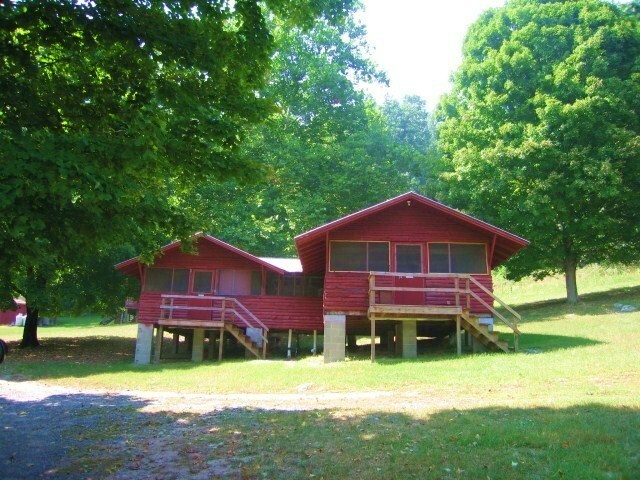 Lot #6 -- 5.633 acres and includes small white owners cottage with fireplace and pond, staff cabin/cottage and 3 adjoining quadplex cabins including the 14 dorm room "Hilton" with 7 bathrooms and and two other 2000 square foot quadplex cabins, each with 4 entrances and 4 full bathrooms. Also includes property between creek and Rubenstein Rd., idea for tents, tiny houses, RV's and large gatherings. Rentable cabins above total 14 units -- each with separate entrances and full baths -- with Airbnb that's big money! Lake / Beach / Sauna area -- 3.085 acres in easement -- to remain a common-shared HOA / POA area and includes a wood fired sauna log cabin building with floating dock, a sandy beach area and a 1.2 acre spring fed lake. The beach house will remain property of this LLC / partnership. 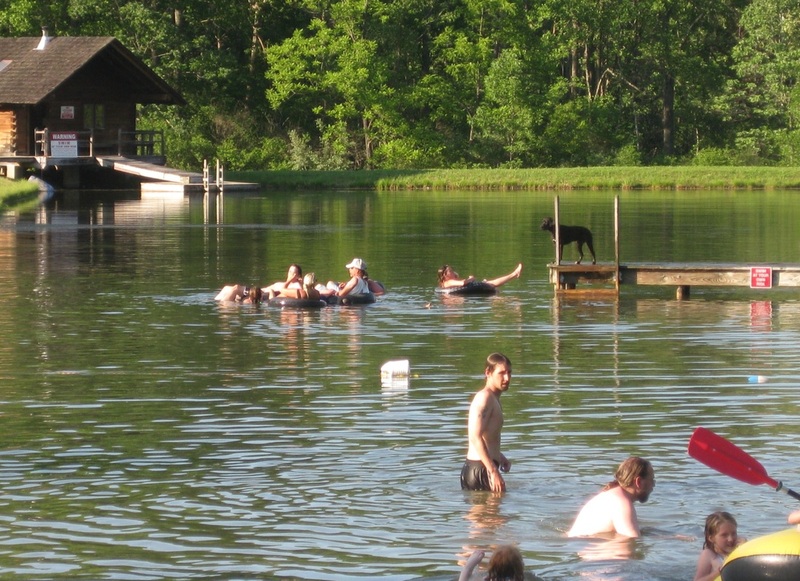 For reasons of liability, recommend the lake and wood fired sauna should be put into an LLC trust, separate from the partnership LLC and financed out through an HOA/ POA to all property owners at the camp, including our partnership, with monthly or quarterly HOA fees to include amortizing the value of this asset but protecting our LLC from liability of both. 4.80% fixed interest rate, 20% down ($97,000 down payment) with Bank of Clarke Co. in Winchester, VA.
At 4.80% interest, fixed for 15 years, that's $3028/mo. or $432/mo. each should the LLC not pay in any given month. We also have included around a $25,000 construction loan into our 15 year mortgage for immediate major repairs for an "as completed" appraisal process that favors a higher value appraisal and makes the bank feel safer in their investment of our mortgage. But then there is property taxes and liability insurance also. For 7 investors, expect another $80 per month additional personal obligation for taxes and insurance. For 7 investors, expect around $550 a month each total personal obligation for year one and ideally $16,166 deposit each (for 6) with some flexibility for some to put more down, some less... see Buffalo Gap Retreat, LLC business model for more updated numbers. We anticipate that after one year’s time, we will never make another mortgage or property tax payment again -- the camp will become financially self-sufficient. And it is possible that the camp will pay even the first years mortgage costs. Seriously interested investors can be included in an on-going Google Docs collaborative / shared partnership document that includes anticipated expenses and income streams, partner benefits, exit strategy, and more. And we have a full 2 year business model completed as well. Note: As of Summer 2015, plumbing, electric, water and roofs were all good on the core camp properties and the bank foreclosure folks winterized all plumbing in Fall of 2015 -- so pipes should be safe going into this winter, 2016 and beyond. 3 years of solid verifiable income for Bank / IRS to secure a loan (2016 financial updates only -- full taxes not required at this time for 2016). some cash or liquid assets towards the 20% total down (more or less can be worked out). some virtual tasks can be accomplished from a home office for those who cannot be physically present often. 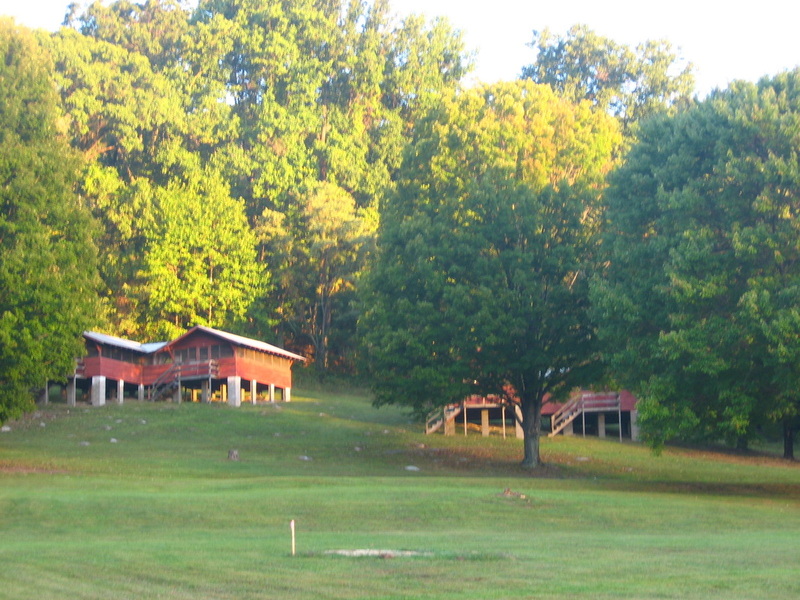 Old Buffalo Gap Camp sits in a gap between Sandy Ridge mountain and Slane's Knob mountain and the peace and tranquility is astounding. 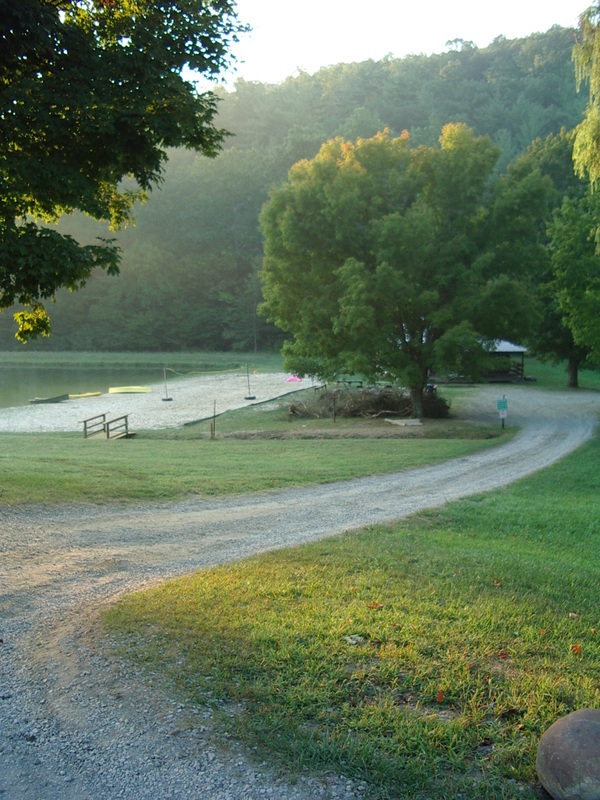 With water exploding out of natural springs all around the camp property, a pond and lake are replenished hourly by the chilly crystal clear spring waters. Surrounded by forest and very private, the property is a real gem just 30 minutes from Winchester and about 2 hours max. from DC metro. 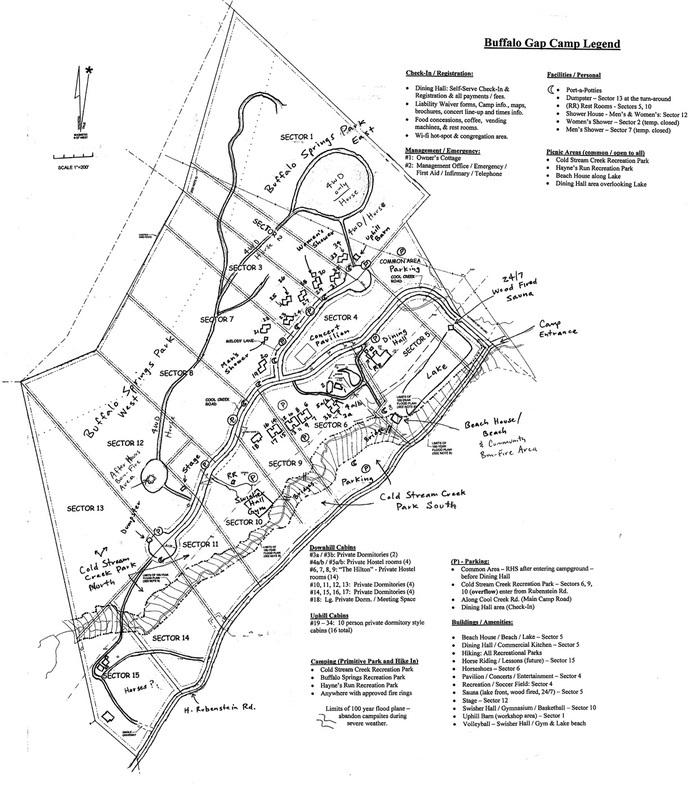 A copy of the camp map from 2010 is included below -- the Sectors and Property Lot numbers correspond identically (save / download the map to your computer and re-open it to zoom in or print it off). I am personally available for tours and can provide platt copies in person for any interested parties.